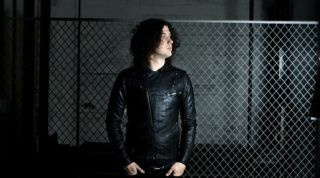 The supremely talented Ilan Rubin is back with a new EP from his solo project The New Regime. Exhibit A will be released on 7 May and is the first in a series of Exhibit EPs from Ilan. Of the project, Ilan says: "When it came time for a third release, I had enough material for almost two full-lengths. But, unlike my first two albums, these songs weren't written with a definitive vision in mind. I realized that this broader spectrum of ideas was an exciting thing - I could release the music as a series of EPs. I call them 'Exhibits' - a collection that I can and will constantly be adding to." Ilan has been a very busy boy of late, not only working with Tom DeLonge's Angels and Airwaves, but also recording drums on the new Paramore record and preparing to hit the road with Nine Inch Nails.